Luke McDermott leads Business Intelligence within the Analytics Practice at DXC Red Rock. 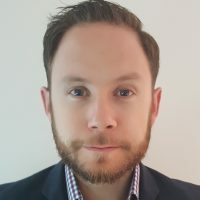 Luke has spent his whole career as a consultant in Business Intelligence and Data Integration, and has developed a unique blend of understanding across the functional and technical aspects. His expertise in the area is valued highly within DXC Technology and with our customers. Gone are the days that Oracle is seen as a laggard in the world of Analytics, with the latest release of the OACS Oracle has jumped to the top of the leader board and amazingly given you, their customers, an easy and cost effective way to get there. Come to this session to hear how to do analytics cheaper, better and quicker with the Oracle Cloud, this will be a practical guide to your journey to a new world, book your slot early to avoid disappointment!